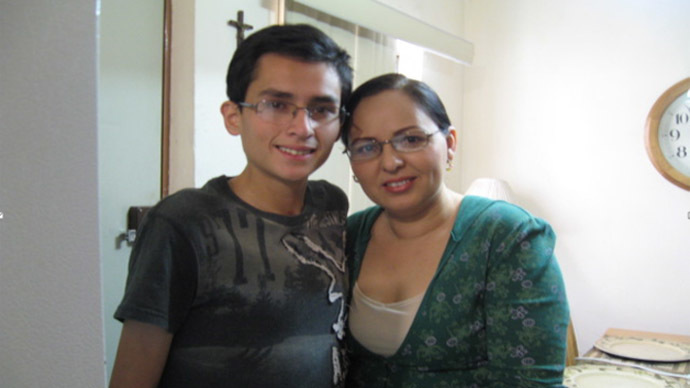 A 20-year-old Mexican-born man with a severe heart defect has twice been rejected for a US visa despite an urgent appointment at a Rochester clinic. Jose Chua Lopez needs a double-organ transplant, a procedure not performed in his home country. "They denied me the visa and my world has fallen down," he told AP on Wednesday. And so did Chua's heart, which has only one ventricle. The condition is causing circulation problems, and blood reaches only one of the four chambers, Dr. Ernesto Duarte, who treats him, says. Between the ages of five months and 12 years Chua underwent three open-heart surgeries, including a cardiac implant that stopped working properly two years ago. His body is marked by scars from multiple operations. Chua's liver has also been damaged and he needs a double-organ transplant as soon as possible. "The experience in Mexico for a transplant of that complexity is nil," Duarte told AP, adding that "nobody can be sure that he won't deteriorate at any moment." The doctor warned that in severe cases, not performing the surgery in time can make a transplant impossible later. Chua's mother, Myra Lopez Martinez, says her son has an appointment at the US clinic as soon as next week, but his visa application was rejected for a second time on Tuesday. "Our team is looking into it," US State Department spokeswoman Jen Psaki informed. Chua, whose father is an Arizona resident, had a US visa until he was 15. When it expired, his family didn't renew it, as they had no money left to pay for subsequent trips. A US-based agency, Consejo de Latinos Unidos, which helps uninsured people secure medical care, intervened in an attempt to get the young man to a US clinic. According to Kevin Forbes, the organization's director, Chua's case was mishandled at the US Consulate in the northern city of Hermosillo, where he lives. Consulate officials allegedly processed an application for a tourist visa when they should have told the youngster to apply for a humanitarian visa. Then they failed to respond to queries about his status for weeks on end. "We have dealt with around two dozen similar international cases," Forbes told AP. "They have never denied us a visa. It's the first time this has happened." He called the situation an "absolute abomination” adding that Chua's family is now preparing to file a visa application on humanitarian grounds. Lopez and Chua live in a modest home in a suburb of Hermosillo, capital of Sonora state, where Chua shares a room with his brother. Although his health problems have prevented the boy from going to college, he dreams of becoming a doctor. His family and friends have moved mountains to raise the money needed to send Chua to Minnesota's Mayo Clinic for a double transplant. They arranged fundraisers, sold tamales and held raffles to defray the initial cost of his potential treatment at the clinic. "We needed $15,000 and we put together a little bit more, just for the evaluation," Lopez said. "Afterward, the double transplant would cost around $2 million. For now, I don't want to think about that."